Facts About Moths: #3. Which Animals Consume Them? Facts About Moths: #4. How Long is Their Lifespan? Facts About Moths: #5. How Do They Enter Your House? Moths are small in size, but they can damage a large part of your household including clothes and textiles. There are several types of moths that can easily be spotted and are common to most households. Moths are flying insects that are close relatives of the butterfly species. Unlike their colorful relatives, moths are usually brown, grey, white, or black in color. 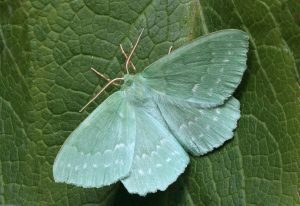 Moths are known to rest by keeping their wings in a flat position, which is different from butterflies, and a moth’s wings are scaled. Read on to learn some interesting facts about moths that may be beneficial to you. Brown House Species: Their scientific name is hofmannophila pseudospretella. They are basically scavengers that consume wool most of the time. They can damage carpets and other furniture. A brown house moth measures about 26 millimeters long and has a slender yellow body. You can find them all over the United States and United Kingdom. Common Clothes Species: Also known as tineola bisselliella, an adult is roughly 6-8 millimeters long. The rear edge of their wings is heavily fringed. These moths have brown heads and are creamy white in color. They take nearly 6 weeks to develop into adults from eggs. 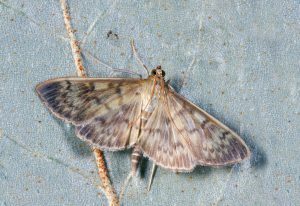 Case-Bearing Clothes Species: These type of moths are known as tinea pellionella. Adult moths may be about 6-8 millimeters in length. They have dark and buff front wings with about three spots which sometimes appear as two. These are also a creamy shade of white in color. They have a wingspread of about half an inch. This species is rare compared to other moth species. They are found in animal hides and objects. White Shouldered House Species: Known as endrosis sarcitrella they don’t damage fabrics and clothing as much as other moths. Adults measure up to 10 millimeters long and have a white head. They are cream in color with a reddish brown head when they are larvae. Moths are known for consuming nectar, but their diet is not restricted to this. For reproductive purposes, moths consume a variety of liquids to provide themselves with an energy source. Their diet isn’t particularly appetizing, but they also eat sap, fruits, feces, and rotten animals. The moths we discussed in the previous section feed on clothing, hair, fur, leather, furniture, wool, and milk powder. When you start to notice small irregular holes in your clothes most likely they’ve been created by moths. Moths are known to search for food during the night time. So, they don’t base their decision on what to eat by appearance. Moths use their strong sense of smell to detect food easily. Many animals are known to feed on moths as well as butterflies. In particular, nocturnal predators are known to feast on moths. Animals such as owls, arachnids, bats, and other flying mammals which are active at night. Lizards are also known to eat moths frequently. Even some bears like the grizzly bear may eat them too. In certain countries in South Africa, some people consider moths an option for their meal. Moths usually live for a minimum of 8 months, but may survive for a longer period of time. The lifespan of moths depends on the strategy used by them in order to survive winters. It completely depends on the type of moth, but it is usually one year. They can fly in through doors and windows that are left open. Sometimes they are hidden clothes and items you purchase at a second-hand store or thrift shop. Garage sales are also a place where you will most certainly find moths in clothes and products. They can enter your house through tiny crevices or cracks in your house that you may not have even noticed. You may find them embedded in rotten or contaminated food. Some moths eat rice, nuts, grains, and flour, etc. so your pantry may be a source as well. 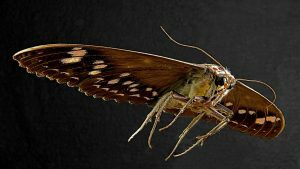 Look in the corners around your house, and search for small cracks or crevices in the walls and doors of your home where moths may be able to find their way in. Moths usually live for a minimum of 8 months, but may survive for a longer period of time. The lifespan of moths depends on the strategy used by them in order to survive winters. Once a moth lays an egg in your house, an infestation can break out very quickly. So, so be careful and be on the lookout for these flying insects. Moth eggs can easily cling to fabrics and textiles. If you discover an infestation you must identify the moth, and its breeding material as soon as possible. Once this is done an appropriate solution can be devised.